Is this the year your business finally gets on Twitter? Getting on Twitter is the easy part; getting it done is more challenging. 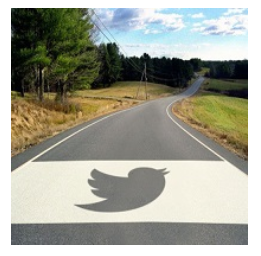 Use these tips to set attainable goals for Twitter this year, and then start tweeting! Determine what you want to accomplish with Twitter. Do you want to get on Twitter just because everyone else is on Twitter? Sorry, but that’s not a good enough reason. Without a good reason, your Twitter goals will fail because you won’t be driven to follow through. Think long and hard about why you want to be on Twitter and what you want to accomplish. Your reasons will give you clarity and guide you once you get started. For example, if you want to use Twitter to listen for brand mentions and sales opportunities, you’ll use a different approach than if you want to use Twitter as a customer service channel. Determine who you want to reach with Twitter. Do you want to connect with existing customers, prospects, employees, vendors, or mentors? Who you want to reach will largely correspond with your reason for being on Twitter. Once you know who you want to reach, you can then set goals for reaching them and develop a strategy for finding them. Determine who will be responsible for tweeting. Will you be in charge of tweeting or will someone else in your office handle it? Will you outsource? Once you know what you want to accomplish and who you want to reach, you need to determine who will be responsible for making it happen. From there, get that person involved in setting realistic goals and milestones for the year. Specific – For example, how many tweets per day/week/month do you expect? Measurable – How will you know when a goal is complete? Assignable – Who will handle each goal? Realistic – Is your goal attainable in the given time period? Is it realistic given other variables? Time-based – Make sure to give yourself deadlines to complete specific goals such as creating an attractive Twitter background or completing your profile page. Otherwise, they may get perpetually postponed. Since each of your SMART goals is time-based, put them in your planner. For your larger goals, you may want to break them down into smaller steps and then schedule those steps accordingly. Finally, once you have your Twitter goals created, post them in a prominent location so that they are always in front of you. It doesn’t matter if you use a large sheet of paper, a dry erase board, or an electronic sticky note that appears on your computer screen first thing in the morning as long as you see it every day.